This new toy by Hasbro Toy Malaysia is a little pet with a "mind of it's own", seriously. It comes to a point where my little Doo-Kah (my furby's name which means sweet) would just randomly farts and giggles lol. This is an amazing and adorable interactive toy that comes with a free app so you can have both the physical and virtual experience. It is so cute right! Without the app you can play and see it's response. Tickle it and it will laugh, pull its tail and it will fart, turn it upside down and it will get dizzy and so much more! It will develop a personality depending on how you treat it. The more you interact with it, the more its' personality will evolve. It will even changes it's voice too! The more you play with it, the more it will "reveal" funny things to say. Some of the things you might not understand coz it's in Furbish. Yea it's a real language, the app even has a dictionary for easy translation, not kidding. My Doo-Kah is sad coz she is sick! Oh no! 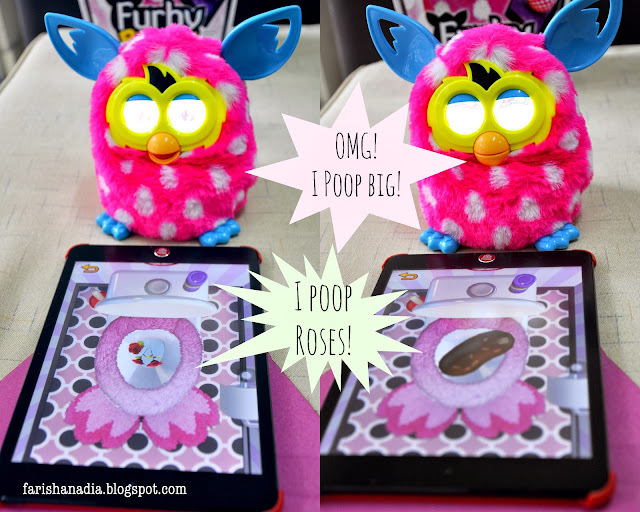 If you want to have the 360 experience with you Furby, you need to download the app Furby BOOM and it's for free! It's quiet heavy though so keep that in mind. The bigger the device (ipad etc) the better in my opinion hehe. With the app you can feed it, wash it, make it poop and play mini games with it. 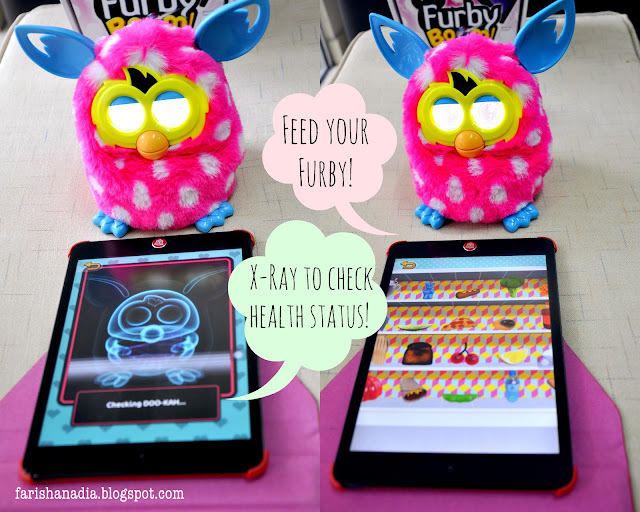 Doing that will earn you experience points and when you reached the full bar your Furby will lay eggs! 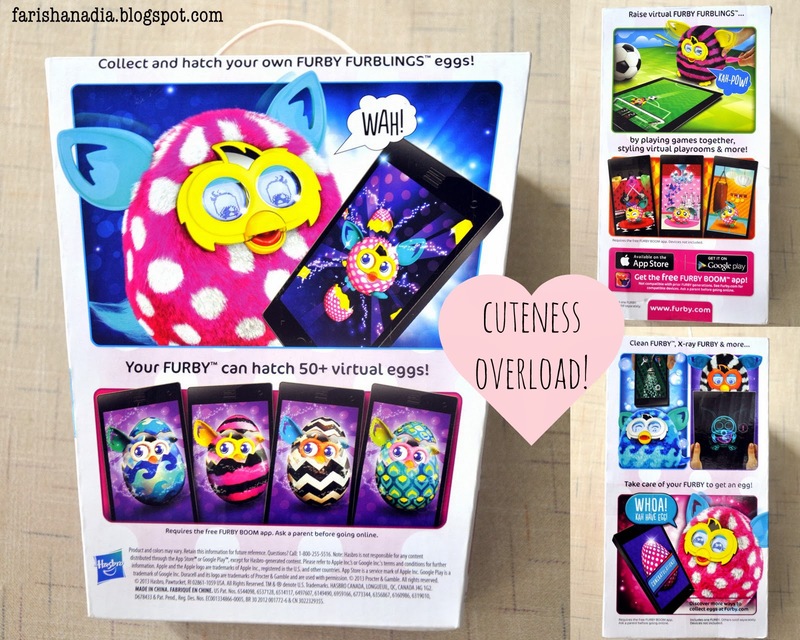 You can collect and hatch the eggs to little cute Furblings! Now my Doo-Kah is Happy! For more demos you can watch the videos below! Available in 6 colorful fashion forward designs, the new Furby BOOM is recommended for age 6 and above, and it needs 4 "AA" batteries to operate (not included). The battery compartment is secured using screws. It retails at RM 269.90 and it's available at most major toy retail outlets nationwide and major departmental stores. Whee~! We have the same fur of furbyboom!!!! <3 So cute and I really enjoy playing with it! @Caro, yea! Hehe When we have the chance we should make them interact!